Save up to 27%, why not try? Comfortable, convenient and easy to apply, Biomedics 1 Day contact lenses are an exceptional choice for your visual correction. Be sure of clear, crisp vision and a comfortable wear all day long with these daily disposable contact lenses from CooperVision. These smooth and comfortable daily contact lenses have been designed to be resistant to protein and other dirt building up on the lens. This translates to cleaner and smoother lens surfaces, and, as a result, uninterrupted vision and healthier eyes. Be free from the risk of infection or irritation when you wear Biomedics 1 Day contacts. 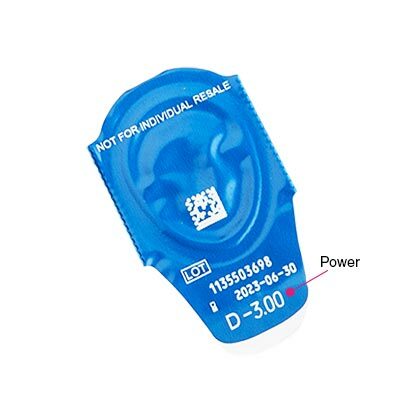 Enjoy the total freedom that these daily disposable contact lenses provide, as you can enjoy a full day of wear before only needing to dispose of your lenses before bed. There’s no cleaning or storing contact lens routine, as you can just apply a fresh pair of lenses the next morning. Unfortunately, Biomedics 1 Day contact lenses has been discontinued and we have limited stock available. 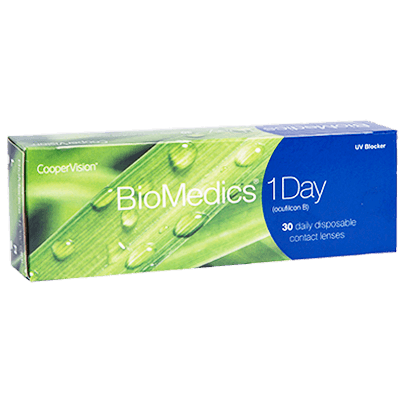 Those unable to find this product in their prescription can also find Biomedics 1 Day Extra, the manufacturer’s upgrade, at FeelGoodContacts.com for the guaranteed cheapest UK price. Dailies AquaComfort Plus and comfi Daily Disposables are similar daily lenses. 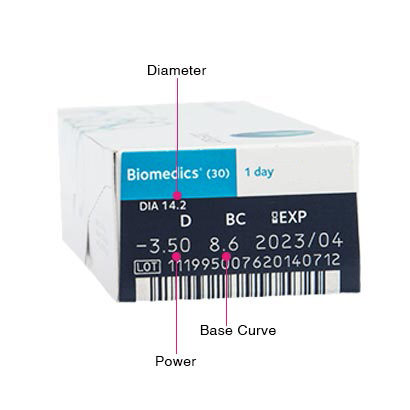 Biomedics 1 Day Extra is the upgraded version in terms of comfort and length of wear. Great lenses. And great service. Great cheap option compared to Acuvue, same quality so why not pay less. Good quality great value lenses. Great lenses very comfortable for daily use.